You can almost feel the heat and smell the burning rubber from new HD screens Rockstar released today of the upcoming anticipated hit, Grand Theft Auto 5.
or even PCs just yet (crossing our fingers though). 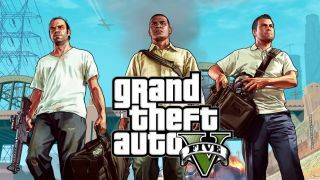 However, Rockstar did say it will unveil news about the Grand Theft Auto Online gaming experience in August, but for now, we'll just have to make do with the trailers and screens Rockstar releases. Though there's more on the website, we've picked out five to show you here (Get it? Five? Well, we thought it was clever). Okay, five was very thematic but this one was just too good not to show you. Thank us later. Games blips and beyond, we've got 'em just for you.